Cascade Crescendo, from Portland, Oregon has been crafting their own brand of bluegrass since 2013. Pulling from their vast range of collective influences, they play original, high-energy bluegrass, jamgrass, and Americana music with captivating lead vocals by Hunter White, blazing fast mandolin licks by Aden Beck, and creative, thumping bass lines by Taylor Skiles. Duluth, MN banjo player, Harrison Olk, joined the band in late 2015, bringing with him a solid Scruggs-style banjo and high lonesome harmony vocals. Cascade Crescendo recorded their first studio album in Spring 2016 at The Hallowed Halls in Portland, OR. The album features fiddle player, Allie Kral (Yonder Mountain String Band) on five tracks and a guest appearance by drummer Nick Werth (Yak Attack). Cascade Crescendo is gaining steam, quickly winning over fans across the Pacific Northwest and beyond. 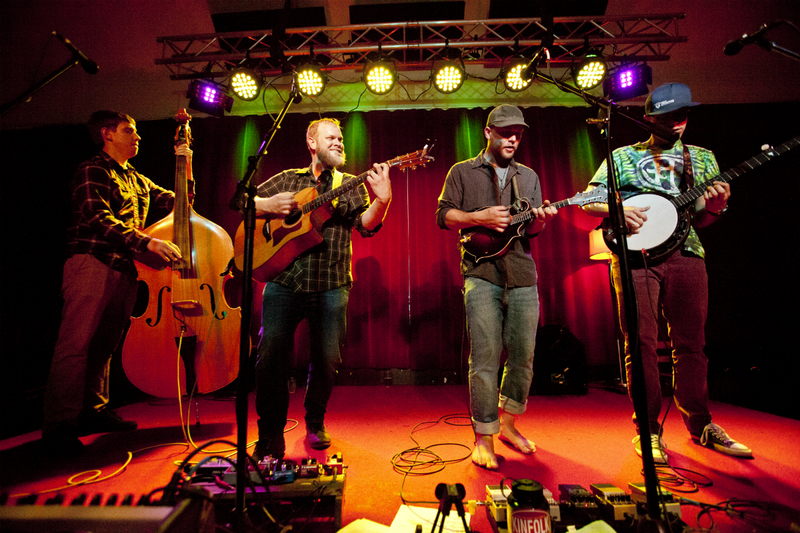 They performed at the 2016 and 2017 Northwest String Summit and regularly team up with national touring bands including Hot Buttered Rum, Reckless Kelly, Henhouse Prowlers, Trout Steak Revival, Horseshoes & Hand Grenades, Kitchen Dwellers, Front Country, Vince Herman, Danny Barnes, and more at venues including the Crystal Ballroom, Aladdin Theater, Star Theater, and Doug Fir Lounge in Portland, and Seattle's Nectar Lounge.